Imagine being in an unfamiliar room with your friends, relatives or colleagues. 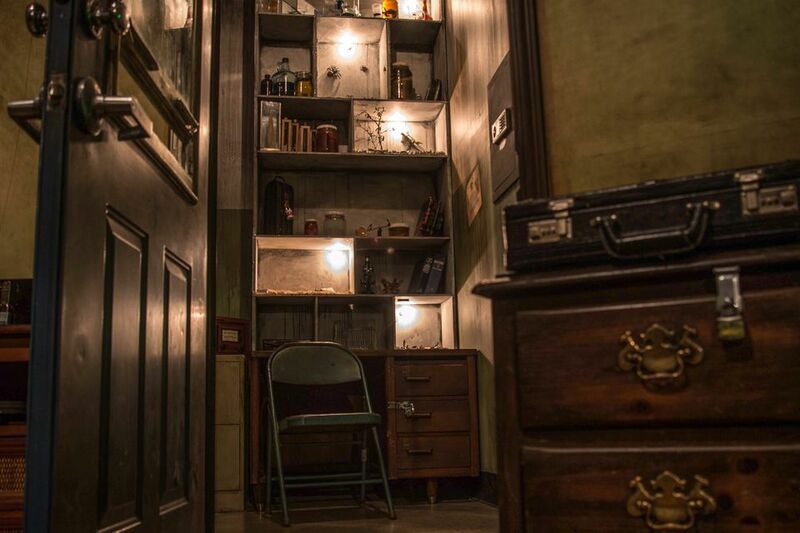 It is not an ordinary room, and it has mystery that must be solved in the next hour. So, you begin to solve mysteries and riddles and find items and clues leading you step by step to the unravelling of the mystery. And all this, in addition to challenging your logical thinking, entertains you and your loved ones. Sounds interesting, doesn’t it? If you think so, then you should definitely try the ever-more worldwide popular escape rooms. In this article we'll tell you in detail about them, so you can make sure it's worth it. They are different types, but they all have similar basic rules. Usually two or more people are locked in and have to unravel the big secret for a certain time to get out. The logical thinking of the participants is of utmost importance, as it is imperative to solve a series of puzzles. Besides logical, they can be linguistic or mathematical, as well as related to the expression of a number of qualities – wits, combinability, observability, team spirit, orientation in space, and others. And not last – for the successful solving of the mystery it is good not to take the game too seriously, just to have fun. Physical power is never required, nor is any specific knowledge. The organizers monitor through cameras what's happening all the time, sometimes helping with guidance. Usually, the participants sign a declaration that they should not reveal the secrets of the room after they leave. This is an interesting feature of this type of entertainment – the customer does not come back again, as they already know the answers to the puzzles. The wonderful experience that he tells about to relatives and acquaintances finds new customers of the escape rooms. Otherwise, the storylines very diverse and similar, for example, to those of video games in which you must find a way out of the castle, house, maze, etc. Others are inspired by movies or develop more untraditional stories such as escape from a space station, werewolves, prison, and the like. 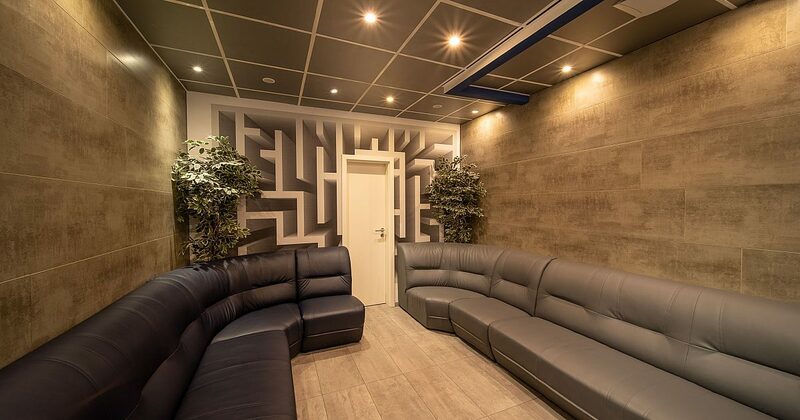 The more sophisticated room type has sub-plots. What is the origin of the game? 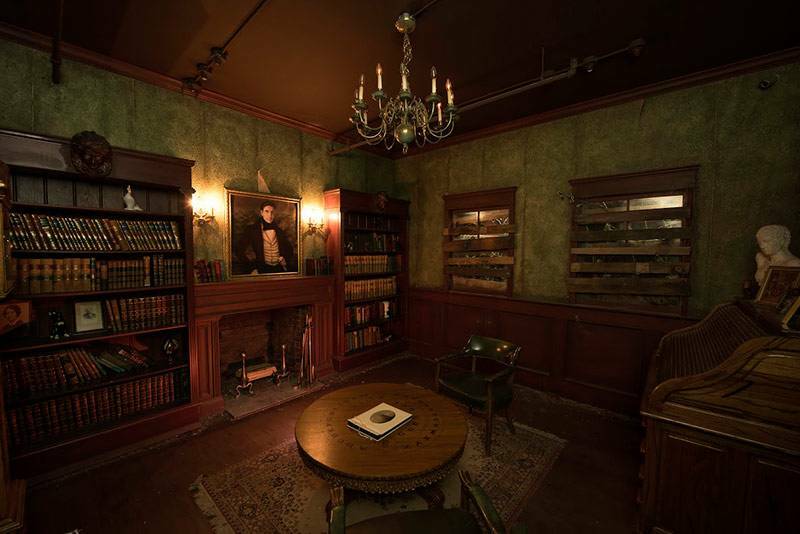 As already mentioned, this type of real physical adventure is inspired by video/ electronic “escape the room” games in which the participant has to escape from the site by examining the surrounding environment. The first such real game is called Origin, created in 2006 by a group of programmers in the Silicon Valley. Agatha Christie's novels are the inspiration for the challenges that were waiting in the room. The interesting idea gradually became popular in Asia, and in 2008 the Japanese Takao Kato starts seriously developing it. The then 35-year-old man creates a company that now operates in several Asian countries as well as in the United States. In addition to the mentioned regions of the world, in 2010 this type of entertainment has already won many fans in Europe and Australia. Especially in the United States, it gradually turns into a spectacular hit. Games with this concept are made at stadiums where there are thousands of participants. For example, in San Francisco and New York there are annual festivals where the action takes place in different public spaces and people can have fun for free. The Americans even broadcast a reality TV show, where viewers can watch the events happening in an escape room. The television format attracts an audience of hundreds of thousands. Some of the biggest companies like Facebook , Twitter and Google regularly use this type of entertainment as a teambuilding initiative. At the end of 2015, there are more than 2,800 such spaces all over the world, and the entertainment is becoming more and more popular due to the fact that it also contains an adventurous and intellectual element. This different type of entertainment guarantees strong and positive emotions, and the experience will bring you even closer to your friends or colleagues. You will also find some strong (or weak) feature of yours that you have not suspected. 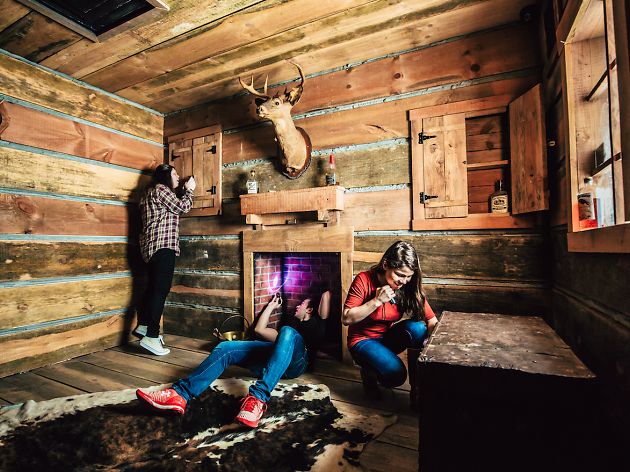 Escape rooms are an ideal solution for a pleasant family experience. Why not try to unravel the secret of adventure with your loved one or your kids? The unique situation of being in such a place with your closest ones will certainly contribute to the good mood. This type of fun is a great example of the so-called “digital detoxication”. You are give up the communication with virtual characters or people you have never seen. Instead, you replace them with the adrenaline of the adventure where there is real communication and you are fully involved with your mind and body. This is one of the very few opportunities where with your loved ones in the real world you can do something that normally requires the use of computer. If you are adventurous, inquisitive and love the strong sensations, you will definitely not regret trying. Another reason to choose this type of fun is that it helps releasing the everyday stress. In China, studies have already showed that emotions and excitement during the game have a positive effect on the participants. Not only do they not lead to extra stress, but this “escape” from the surrounding environment takes away the fatigue and stress of the busy everyday life.. Challenging logical thinking, fantasy and many other qualities, as well as personal contact and teamwork, are the reason more and more people prefer escape rooms to computer games. And this is normal as no “experience” in front of the computer can be compared to the real one. Why are they perfect for teambuilding? As you know, team building is a variety of activities that are used to improve social relationships between colleagues. This happens most often through joint tasks that are enjoyable to employees. In other words, while the typical training of the team aims to improve efficiency, a positive change in interpersonal relationships is sought here. And since escape rooms are based on team effort, it makes them extremely suitable for teambuilding. They enable employees to practice skills such as organization, thinking, communication, criticism, creativity, and the like. The expression of emotions and character is provoked and that lead to demonstration who has leadership qualities, and also whether there is understanding among the participants. So during the game you can learn a lot of useful information about the work team. Another advantage is that the duration is only an hour. This allows teambuilding to be held every day of the week, and workers would not mind having it happen over the weekend. Usually, then, many people prefer to spend their weekend with their family instead of their colleagues. However, thanks to the short duration of the game, they still have enough time at their disposal. Another advantage is that no pre-organization of the event is required. Everything is prepared as you only have to book an appointment. Escape rooms are definitely a great opportunity for a fun experience, which is a long time to comment at the office and to help bring the team together. How do they affect people with claustrophobia and other fears? Most people with such problems certainly do not find it particularly good to get locked up in an unknown room. The truth, however, is that in this case, the experience will not only not harm them, but even help. For starters, these rooms are not really locked so that they cannot get out of them. After all, nobody wants to be trapped in the event of unexpected circumstances such as fires, earthquakes and the like. Exit is easy and at possible any time, no matter what you want to do. Experience has shown that people with claustrophobia and similar fears do not think particularly about these for a simple reason – the enthusiasm of the game. Solving mysteries, discovering clues, and step-by-step approach to the unravelling of the mystery makes us forget those troubles. A huge number of participants shared after the experience that during the game they never thought about being locked in an unfamiliar room. Another fact which helps enormously is that you are there with people you know. It has been shown that staying in strange places with strangers is one of the main reasons for developing claustrophobia. In this case, however, this problem disappears because you will have your loved ones next to you. And last but not least, escape room experience actually helps to overcome claustrophobia. It is known that a problem is getting worse by avoiding it. But when you accept it and you do not run from the difficulties it creates, you start to control it more skilfully over time and it occurs less often. And what better than to achieve this effect through fun (instead of just closing in the elevator, for example)? In short, this is an excellent way to try something new that will bring a pleasant emotion into your life. Something that will challenge you to bring out very good qualities while having fun with your loved ones. Something you'll remember a long time and want to try again. 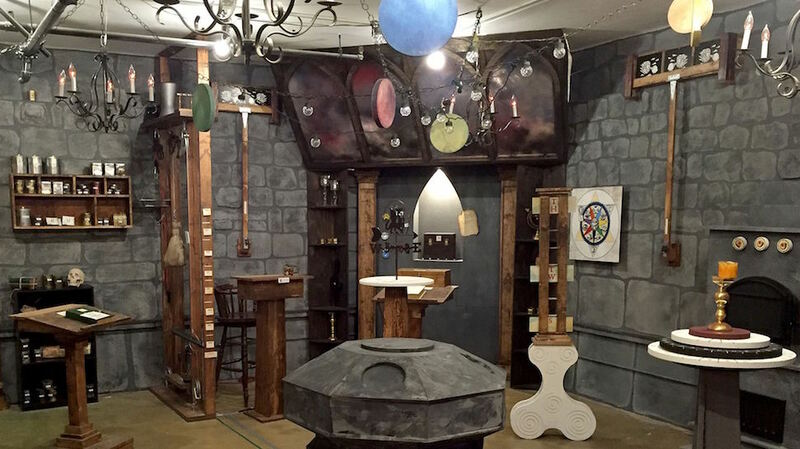 If you want a real adventure, the escape rooms are the right place for you!